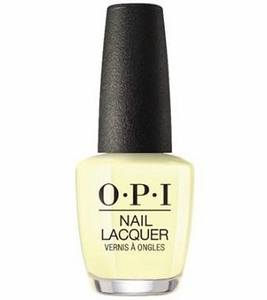 OPI Nail Polish, Meet A Boy Cute As Can Be, NLG42, .50 fl. oz. Pale, pastel yellow creme nail color.